Today is a momentous anniversary. It was 10 years ago today, September 21, 2000, that the owners of the Ormsby House announced that they would be closing the hotel for a major remodel. They had been trying to keep the place open while they remodeled it, they even publicly said it would not be closing as late as August 2000. But at every turn in the construction they ran into setbacks. leaking pipes, crumbling walls, outdated electrical systems. They finally decided it would be best to just shut the doors and let the place be overrun with construction workers. Nine months, tops, and they would be ready for a grand re-opening. The actual closure came on October 29, 2000. That night at midnight they locked the doors for the last time. In theory this remodel plan would have been a great idea. But in practice–well, everyone in Carson City now knows how their great plans turned out. Ten years later and the exterior has been remodeled into a beautiful showcase for downtown Carson. 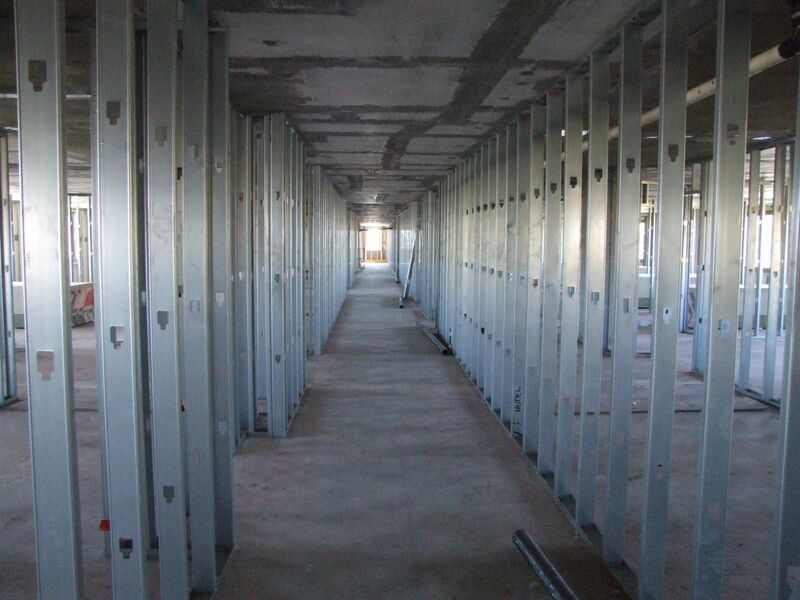 But the interior is still gutted, and the pace of work is probably on record as the slowest construction job in the history of Nevada. I’ve documented, in painful detail, the growing pains of this project over the last eight years, and it’s a bittersweet mix of frustration that they won’t work faster and joy at what they create when they finally do gets their butts in gear. This was not the first time the Ormsby House had closed. Us old timers remember when the owner, Truett Loftin at the time, declared bankruptcy and closed the doors early in 1993. The place stayed boarded up and shut down for two whole years before reopening under new owners in 1995. But that was not the end of the troubles, as a string of bankruptcies, foreclosures and auctions haunted the property all through the late 90s. Bob Cashell was brought in as general manager, and actually did a decent job of trying to turn the place around, doing the best he could with what he was given. He left after the closure and went on to be mayor of Reno. The new owners finally came in on September 15, 1999, Al Fiegehen and Don Lehr. One thing that you can certainly say about the owners is that they are dedicated. Nobody else would have stuck with the project for this long; the stress of it probably would have killed lesser men. But at the same time, the energy in any organization comes from the top, and the Ormsby House has no energy. If they had dedicated everything that was necessary to the project, they might have hit their 9 month deadline. Add in a few unforeseen snags and we could give them a year. But for the project to drag on for 10 years, and for work to be dribbled out as such a slow pace, the blame for that can only be placed on the owners. As I speak there are people working at the Ormsby House; I saw their trucks parked outside this morning. But it’s probably a crew of five or six guys, doing one specialized little job, while the rest of the place sits empty. You can’t tackle a project that big by nibbling at it a little at a time, or else you get what we have now, a ten-year project with no end in sight. So I have no doubt the Ormsby House project will drag on for even more years. Eventually one of the owners will die, or both, and what happens to the project then is unknowable. 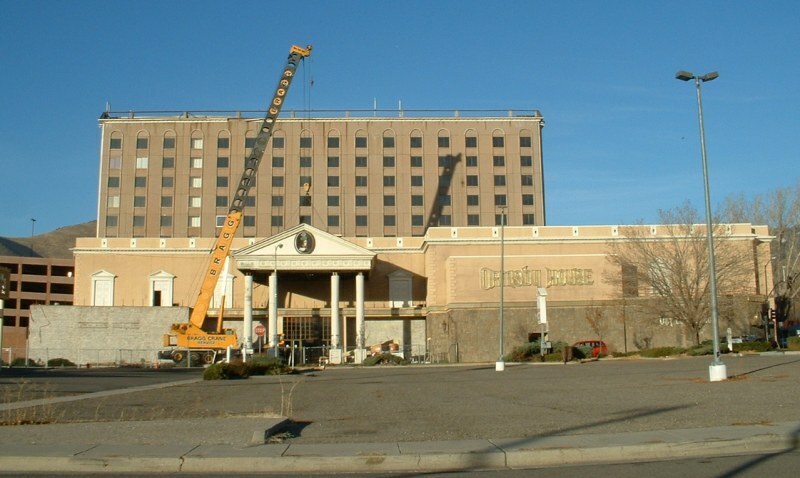 If they really wanted to get the hotel opened they would throw every construction worker in Carson City at the place, and turn it into a 24-hour construction zone until it was finished. But they won’t do that. They’ve had 10 years to do that and it’s never been done. So I don’t see it starting now. The Ormsby House will remain a gleaming white albatross at the heart of town, maybe one day in the distant future finally re-opening. If we’re all still alive to see it. The Nevada Appeal has been online long enough to have built up a decent archive of news stories, and most of the original stories about the Ormsby House can still be found. In my digging I found these articles about the closure, history documents now. Also my Ormsby House Renovation Gallery contains a full documentation of the exterior work on the building, so you can see that they really did do a fantastic job of fixing the place up. Someone over at carsonnow.org suggested that the OH would make a good “instead of” to the Nugget Project- parking garage, convention center, library, etc, etc… Youda thought that the supervisors would have considered that- mebbe they will….. in another ten years. When I use to live in Carson City with my parents, we use to go to Orsmby House. I liked it. To bad the owners don’t seem to really care about it. I think it would do good once it opens up. Please hurry up and open it up. I loved the train going around in the restraunt. With the state capitol down the the street and this being nthe capitol of Nevada the city needs a class place like the Ormsby. Please get it open soon before I get to old to come back to visit. I remember the OH all the way back to 1974 . . . a fine place, with Dominique’s Supper Club and the Grand Terese Ballroom. Now? It certainly is impressive from the outside, but one would think a decade is enough time to restore it to full splendor. Perhaps we can look forward to the grand unveiling in 2020? Do the new owners even own a gaming license for this location after all this time? I don’t know all the rules for gaming licenses, but they have a couple of slot machines in the bar in the parking garage. I think that’s enough to keep it alive, if they do in fact need to “keep it alive”. This looks like a great project for “THE DONALD”. Trump could come in and get this done quickly and he needs a presence in Northern Nevada. We love Ormsby House and have many fond memories there. We used to go there once a year. We drive through every year hoping that it is open. I actually took time off in 2009 because I read it was expected to reopen. I was very disappointed it wasn’t. I read about the current owners difficulties in getting it remodeled. I just hope they can afford to finish the project. In my opinion it was the best casino in that area. 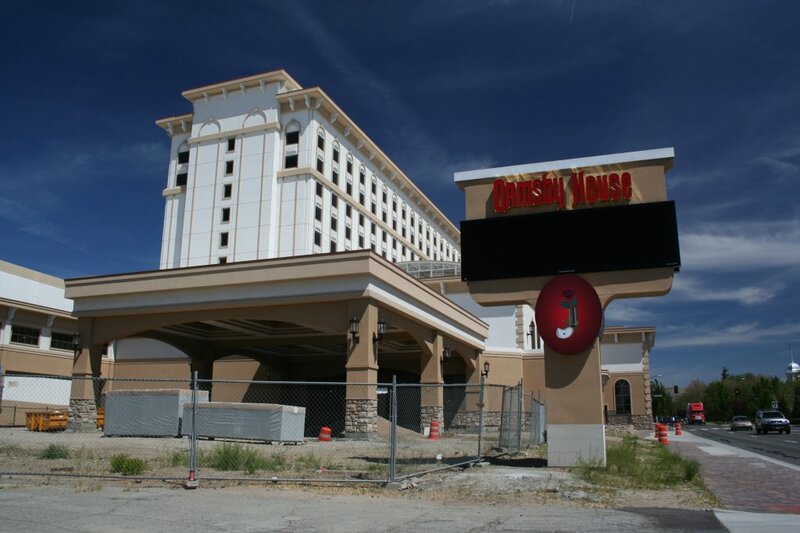 I used to visit Carson City 3 or 4 times a year and the OH was where I stayed, ate and gambled. I moved to Carson city in 1989 and had many a good time at the OH. It was closed a few years before I moved in 2005 It was the only place in town that had any class. Going to visit Carson City this week and was hoping it was finished. Forced now to stay at the Courtyard Their are no high end hotels. The city and the owners should do what ever it takes to get this place open. It would generate a lot of income for the city and could once again become a landmark. First of all I have to say that I love your site. 🙂 My husband and I come to Carson City/Virginia City/Minden area to get away every February. I love checking out the latest info on the area from your site, Thanks. Have you heard anything or seen anything happening at the Ormsby House?